You know those people who, when faced with an offensive comment on the Internet, will point out its flaws in grammar and spelling rather than respond to the content? Yeah, I used to be one of those people. 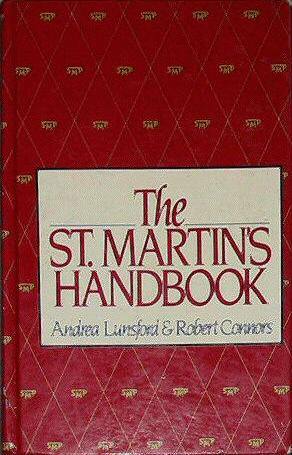 In my youth, I cherished my St. Martin’s Handbook as a Bible of all things grammar, and I took great pride in knowing all the comma rules by heart. I remember an assignment in sixth grade English in which we had to give a speech about our pet peeve. I chose improper grammar as my peeve. I took great delight in jumping on incorrect “your” usage anywhere I saw it, and I just devoured Eats, Shoots & Leaves. Fortunately, that phase ended for me at about the same time I signed up for facebook, back in 2007. I dodged a bullet. Maybe it was coincidence, but maybe it was just disinterest after finding out that the Internet was full of people who cared much more ferociously about grammar than I did, unlike my southwestern Pennsylvania high school. I was a grammar hipster. 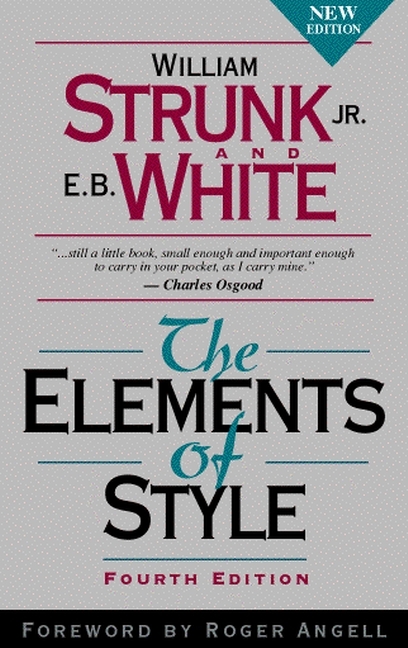 But while I appreciate this book as a useful guide and a cultural artifact, I disagree violently with the sentiment that language is worth less when it doesn’t follow the rules. This attitude is a huge part of why reading comments on the Internet makes me want to vomit and/or become a hermit. The point of language is communication, and when you attack a person for every split infinitive, you’re not improving communication, you’re ending it. If I rejected anyone whose grammar wasn’t perfect here, I would have no one to talk to. I still value correctness, but I value interesting conversations more, and I think I’m a more interesting person when I’m contributing to those conversations instead of correcting them. Just one more reason I don’t think EFL teaching is for me long-term. I get more and more convinced all the time that communication has less to do with vocabulary and grammar than it does with concentration and a sort of mutual conspiracy to understand. Exhibit A: When Łukasz came to this country in September, he didn’t even know the alphabet. Now he speaks Russian about as well as I do. But regardless of that, we were having conversations about the morals of marriage and the meaning of life and international politics from day one. It took forever, and it still takes a long time sometimes, but because of the necessity to pay exquisite attention to language, we’ve been able to disagree much more strongly, without hating each other, than if all we had to pay attention to was the content. Apart from this, though, our daily, domestic communication relies much more on context and a kind of complex web of inside jokes than it does on actual words. We have a dozen nicknames in three languages for various characters in our lives (which I won’t share here). There are certain words we always say in only one language, such as “plant” in English, and “resaca” [hangover] in Spanish, “miłych snów” [sweet dreams] in Polish, and “ерунда!” [nonsense] in Russian; and certain things we always indicate with sound effects, such as the need to waterproof our boots [“kshhhh”]. Exhibit B: I’ve started a weekly conversation club at the American Corner at the library in town. It’s been going on for a couple of weeks now, and there’s one man who comes every time. His name is Nikolay, and his English is basic at best. The second week I was there, it was just me and him, and in our hour-long conversation we covered a wide range of topics. He told me what he thinks about the conservatism of the Arkhangelsk region, and he explained to me the island communities across the river from mainland Arkhangelsk. Specifically, how people travel between the islands and the mainland when there are no bridges. Some ships still pass through the area, despite the frozen river and dramatically decreased industry, and they carve gashes through the solid ice. When the coast is clear, however, special crossing guards lay down wooden planks over the open water and people walk across between the islands and the mainland. Gaps in Nikolay’s English training include “crossing guards,” “planks,” “break,” and the past tense in general. But with the help of a map of Arkhangelsk and some creative gesturing, he managed to communicate all of this and more. Sometimes I get frustrated in my conversations with Russians, because I feel like they’re not giving me the time or space to make the elaborate allegories I need to express myself abstractly. To be fair, usually I’m having these conversations in a context where time is limited and information has to change hands. But sometimes I wish someone would take the time to concentrate on me the way I have to concentrate all the time to understand anyone. But maybe that’s the point of the Fulbright. It’s forcing me to concentrate by taking me out of my linguistic comfort zone, forcing me to live in a world where I and my American ideas and words aren’t the center of attention. That’s the concentration part, but there has to be the second element, the conspiracy. The more I think about it, the more I like this idea of communication as conspiracy. Both parties have to concentrate equally for real communication to happen. And to some extent it has to be in secret; concentration requires blocking out all distractions, in the environment and inside your own head. When I think about what con-spire means–“breathing together”–I think it makes even more sense. Real communication can’t happen without breathing the same air, experiencing the same context. This is what I miss most about talking with Americans, not the language fluency itself–many of my students and the other foreign teachers here speak English beautifully– it’s the cultural context that puts us in cahoots automatically. Łukasz and I have built our own context in our apartment, and as I learn more about Arkhangelsk and gain more experience in living here, I come closer to a point where I can where I can enter this Russian context. Though improving my vocabulary wouldn’t hurt. Where can I find a bar in this town? I’ve been doing some thinking lately. Now that I feel more-or-less-as-much-as-I’m-ever-going-to fully settled in, and now that I all of a sudden have two weeks of drastically reduced classroom hours while my students write their theses, I’ve been looking for new things to occupy my time. And what ever-present lover should call my name, but the library. I went back to the library today and finally made it inside, and to the International Center, where the American Corner is located. What a thrill it was to be in a library again, dear friends! I hadn’t realized how much I’d missed it. There were stacks for all languages–French and German, Polish and Lithuanian, English, Norwegian, Finnish… The English section, the Amerikanski Zal, was by far the biggest of any, and I’m sure that has to do with the U.S. Embassy’s pocketbook. There was a whole aisle dedicated to teaching English as a foreign language, which was overwhelming in that I feel like I’m somehow obligated to take advantage of all those books. There was a huge flatscreen TV; an odd collection of DVDs, from Capote in Russian to some documentary on Niagara Falls; and there was a group of people listening to canned British ESL audio tapes of some sort. I didn’t find the “Literature in English” section until we were already leaving, so all I got out was volume 2 of the “Poe” installment of the Library of America, those classy black books that remind me of Dad’s library at home. Next time I’m sure I’ll get out some more leisurely reading material. The woman who works at the American Corner was not there, but I met another woman, Olga, who works there, and a journalism teacher whose name I’ve forgotten. They invited me enthusiastically to an event on tolerance that’s being held at the center tomorrow afternoon, and I promised to be there if I could– I am going to a conference at SAFU in the afternoon, where Łukasz is giving a paper on Polish linguistics, but if it’s over in time, I will go to the event at the library too. All of this has gotten me thinking again about how much I love libraries. My friend Randianne, who’s also teaching in Russia, told me a story recently about how she single-handedly turned a student into a library-user and a big reader. And I keep remembering the times I really made a difference for someone at Forbes– helping a woman with her paperwork to become an American citizen, putting someone on the track to apply for new jobs, showing a high school kid print sources that are actually useful and interesting… But I know that I want to keep languages and international cultures in my life, too, more so than most public libraries can offer. So, my new idea for my life is this: I want to build a library, but not just any library. My library will also be a cultural center and a resource for ex-pats and refugees in whatever city I end up in. My library will offer language classes for immigrants and for locals, in English, Russian, Spanish, French, Portuguese, whatever languages I can get. My library will be a coffee shop, and a bar, and an art gallery for local artists. My library will be an educational center and a community center. My library might have to charge a membership fee. I just don’t know if I have the stamina to go into international relations or diplomacy in any way. I want to interact with many cultures, and I want to keep exercising my languages and learning new ones. I miss English so much, but I don’t think that teaching English as a foreign language is really my calling. I think I would be happy working at or running a “think tank” like what I thought a think tank was when I was a kid– a place with green lawns and futuristic glass buildings, where intelligent people walk around in practical white uniforms and just think important thoughts all day. Except without the utopian creepiness. If I could cultivate a place where internationally-minded people would congregate, would read, think, talk, drink, exchange ideas, present papers… I think that would make me happy, if I could be a part of facilitating that. It takes me forever to get ready in the morning. If I hustle, I can do it in 45 minutes, but really for a proper preparation, I need 2 hours. I take showers in the morning, and I blow dry my hair every day. Sometimes I talk to myself in Russian. Sometimes, it bothers me that I still haven’t learned how to type my name — Рут — in Russian. It always takes me a couple of tries to find the right letters on my keyboard. Makes me feel like I don’t know who I am. Some of my colleagues have the “R” down pat, but still make it into Roof or Root, and some get the “th” but still roll the r into Rrruth. And at home, with Łukasz, I’m Rutka. Also, I don’t have a patronymic. Instead of a middle name, Russians have a name that comes from their dad’s name; so, if my dad’s name were Ivan, I would be Ruth Ivanovna, for example. When I got my library card, the lady behind the desk saw Rebecca on my passport and asked if that was my patronymic. I hesitated and said, “Not exactly. It’s not from my father.” She just kind of nodded curtly and decided to forget about it. On another form of some sort my name is listed as Ruth Ø Spurlock. I have got to get myself onto a better sleep schedule! Not getting enough sleep here has a much more powerful effect on my general wellbeing than it used to back home. I’m still procrastinating like a college student, but my body is demanding to be rested like a grown-up. In other news, I got a library card today! I had to pay 15 rubles for it, and I’m not allowed to actually check out any of the Russian books, so this feels like a kind of qualified victory. But, it means that I know where the library is now, which means I know where the American Corner is, which means I’m that much closer to actually meeting the woman who works there. And, the reason I was at the library was a Norwegian-Russian folk music concert. Which. Was. Wonderful. I went with the Norwegian teacher Liv, and her boyfriend, who are friends with the harmonica player in the group. On the bus on the way there, we ran into the Norwegian-American guy who is also a student at the university (SAFU) and lives in Centrin with us. Arkhangelsk is supposed to be as big as Pittsburgh, population-wise, but it’s still a place where that kind of serendipity can happen. I mean, I guess we were all going to the same place, so it’s not that serendipitous, but still! And then a bunch of my students were there, because they also study Norwegian, something I hadn’t pieced together when Liv invited me to the concert, so it was fun to chat with them before the show. The concert itself was lovely. The music was new and beautiful, and the musicians were all so unassuming and relaxed; they just looked like they were hanging out together up on stage, playing some of the songs they love. They are two Norwegians (the harmonica player and a violinist) and a Russian guitarist, touring northern Russia and Norway together for a couple of weeks. They were communicating with each other in English mostly, and most of the audience understood English too (partly because most of the audience was students from the English department at SAFU), but the guitarist translated part of what they said into Russian. It seemed like such a wacky way to do things, just sort of throwing languages out there until one stuck. And then the music started, and all at once language didn’t matter anymore.